An additional spring-loaded relocking device, activated by a punching attack. A handle activated locking mechanism consisting of three 1″ diameter locking bolts. Each one is drive resistant, chromed steel with a long throw. One piece heavy duty dead bar behind hinge prevents removal of door even if hinges are removed during a forced entry attempt. Designed to fit full body size, which greatly reduces any possible pry points. Doors are interchangeable within product group. Door jamb design is manufactured with state-of-the-art equipment, with built-in devices offering the ultimate protection against sledgehammer attack. ¾” solid steel plate door is standard. 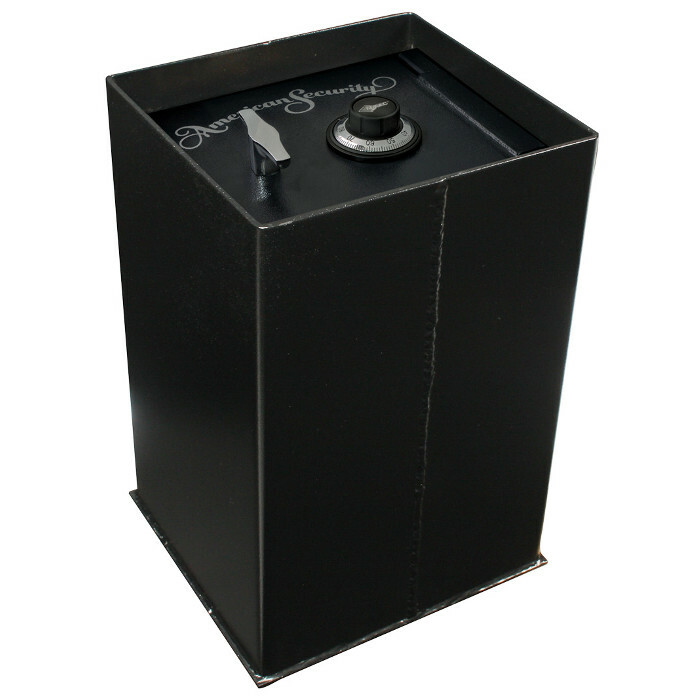 Large, convenient 10-3/4″ x 11-1/8″ door opening for bulky items. Oversize floor plate ensures strong installation in concrete. Solid steel hinge mechanism using 3/8″ diameter steel hinge pins and internal mounting bolts.